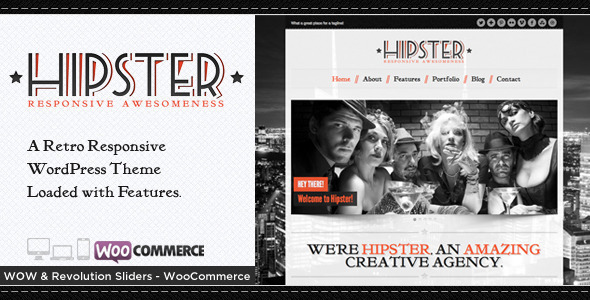 Retro WordPress themes are very in right now. Since nostalgia is the new black, there’s no wonder more and more website owners are turning to vintage inspired design to upgrade their pages. After all, ‘90s music is everywhere, tattoo chokers have made a comeback for some reason, and TV show revivals have become the norm. But just because a WordPress theme has a retro feel doesn’t mean it shouldn’t be packed with innovative features. In fact, developers are very skilled at combining the old with the new. Not convinced? We have the best retro WordPress themes to change your mind. 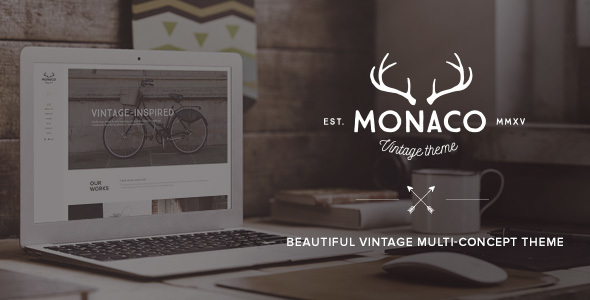 As the name suggests, this WordPress theme will give you all the vintage feels. Besides, it combines its strong retro design with a powerful admin panel. As a result, you will have all the resources required to tweak your website without touching a single line of code. Drag and drop website builder? Check. Full control over the site’s color scheme? Double check. 5 predefined skins? You got it. The Revolution Slider premium plugin is bundled with the theme, offering great value for its money. Last but not least, Retro is WooCommerce ready. Starting an online shop was never easier. According to its developers, Extinct is a portfolio theme delicately handcrafted to meet the needs of a creative agency or similar businesses. 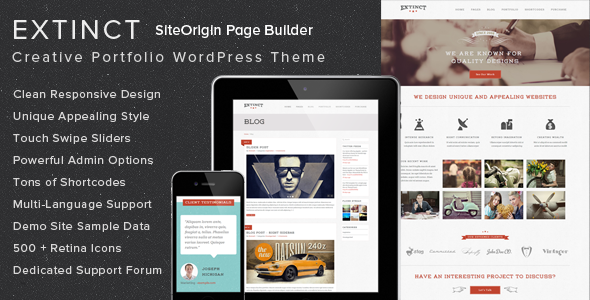 The theme pages are built using the popular SiteOrigin page builder. Not only that, but Extinct comes bundled with 20+ custom page builder elements/widgets. These are accessible for easy insertion and configuration in the page builder. Therefore, its powerful admin options will enable you to customize your site with ease. Meanwhile, the premium plugins bundled are surely worth the overall investment. Created mainly with restaurants in mind, Delimondo can be customized to fit a variety of purposes. However, if you’re a food blogger or own a food-related business, you can’t go wrong with this one. It comes with five awesome retro styles to choose from and a variety of features any website owner will appreciate. 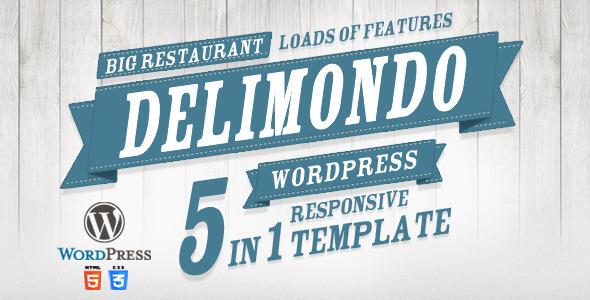 Besides its dazzling design, Delimondo offers a shortcode generator, 9 custom widgets, and a rock-solid documentation. Whimsical and memorable, the theme will likely make your visitors come back for more. No list of quality retro WordPress themes would be complete without Monaco. Light and bright, the theme was inspired by vintage style but shines thanks to its user-friendliness. Most noteworthy, Monaco offers 17 homepage layouts, suitable for a variety of purposes. It also includes Visual Composer and Revolution Slider and offers full WooCommerce integration. Bonus: you will get a detailed step-by-step documentation that will help set up and run your site without any problems. 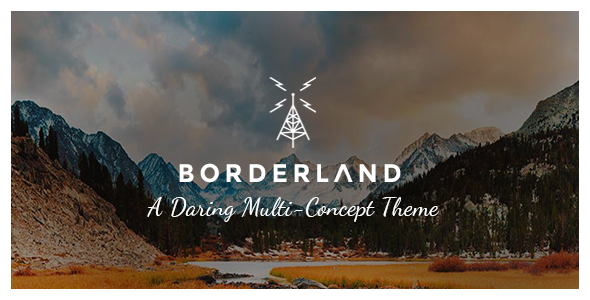 Self-proclaimed a “daring multi-concept theme”, Borderland lives up to the hype. The theme comes with several gorgeous demos to choose from. As a result, you can make sure the site will match your brand. You can build a WooCommerce shop with ease. Additionally, you also get extensive font options, custom portfolio & testimonials post types, various shortcodes, and custom widgets to truly make the site your own. The fact that Borderland is insanely easy to use is also a plus. No coding knowledge is required to install and modify the theme. Consequently, you will be up and running in a jiffy. 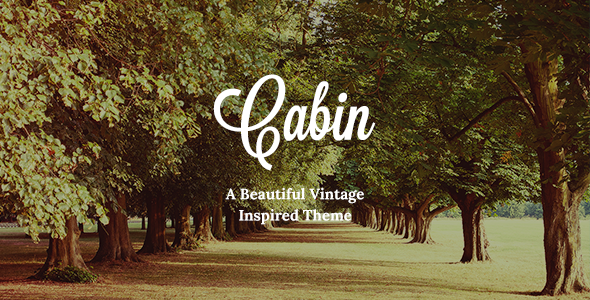 A vintage-inspired theme you’ll fall in love with, Cabin has a lot going for itself. It comes with several demos to choose from, WooCommerce support, and a powerful admin interface that’s very easy to use. Furthermore, the theme offers 40+ custom shortcodes and top-notch support. Visual Composer and LayerSlider are included. 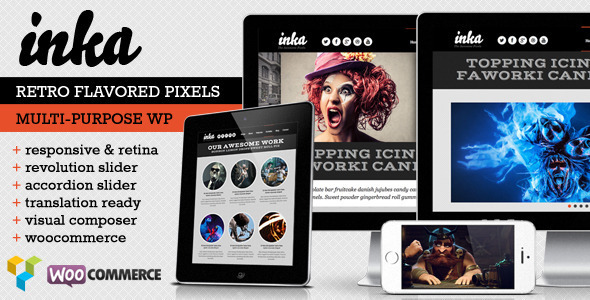 Inka packs all the retro-flavored pixels you need to bring your site to the next level. It’s loaded with features that will come in handy, like testimonial sliders and a comprehensive theme options panel. Furthermore, Inka bundles a plethora of premium plugins – Visual Composer, Revolution Slider, Accordion Slider, Fancybox 2, Instagram Fancybox. Finally, it’s also WooCommerce integrated and translation ready. Not too shabby. 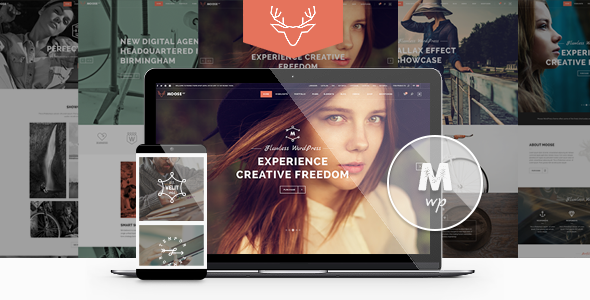 Rounding up our list of awesome retro WordPress themes, Moose offers stunning design and tons of great features. It comes packed with slick animations and boasts powerful admin panel that’s very easy to use. The theme bundles the Visual Composer and Layer Slider plugins. Thus, you easily save some cash. Moose is also fully-integrated with WooCommerce, so you can open a store in no time. The best retro WordPress themes give you the liberty to make extensive customizations. Hipster is no exception. You can modify your site with the extensive options panel using over 30 backgrounds patterns, full screen rotating background images, and 2 page layout styles. 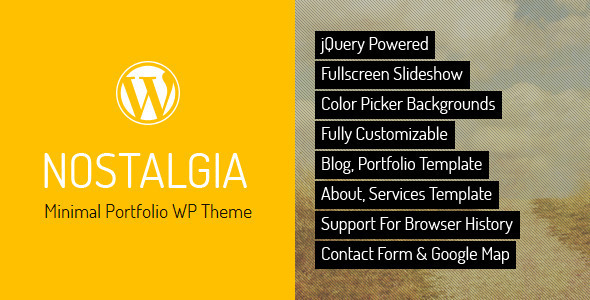 In addition, the theme also offers the amazing WOW Slider, the Revolution Slider plugin, and a custom mobile menu. It also supports WooCommerce, so you can sell your products online with style. Yay! Next on our list of the best retro WordPress themes available we have a gorgeous and minimal portfolio theme. Nostalgia is well-suited for both personal and corporate use. It’s elegant and minimal, allowing you to showcase your best work in style. Moreover, it comes with a full-screen slider and background music player. Nostalgia is also fully customizable, so you can make all the tweaks you need without breaking a sweat. Potential clients will definitely be impressed. Why Choose One of the Retro WordPress Themes on Our List? Are you set on incorporating old school design to your website? You can’t go wrong with picking one of the retro WordPress themes on our list. Besides spectacular design, they bring a lot to the table thanks to their avant-garde features. Moreover, the themes above are very easy to install and customize. They’re basically a breeze to use. You should be able to get your site up and running fast and without too much hassle. Even if you don’t have any programming knowledge. We’ve got something for everyone.Whether you’re looking to showcase your work in an online portfolio, build an eye-catching landing page, or give your site a facelift. Classic and elegant design never goes out of style. 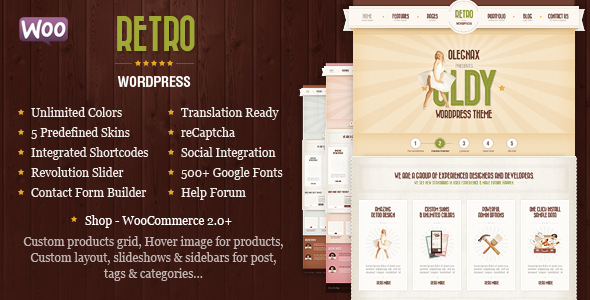 The retro WordPress themes on our list will enhance your website and make it memorable. They’re well-suited for photographers, freelancers, businesses – basically any projects that revolve around retro and vintage elements. You’ll have all the tools you need to hit the ground running. Finally, for more WordPress tips and tricks keep browsing our blog or subscribe to our newsletter.